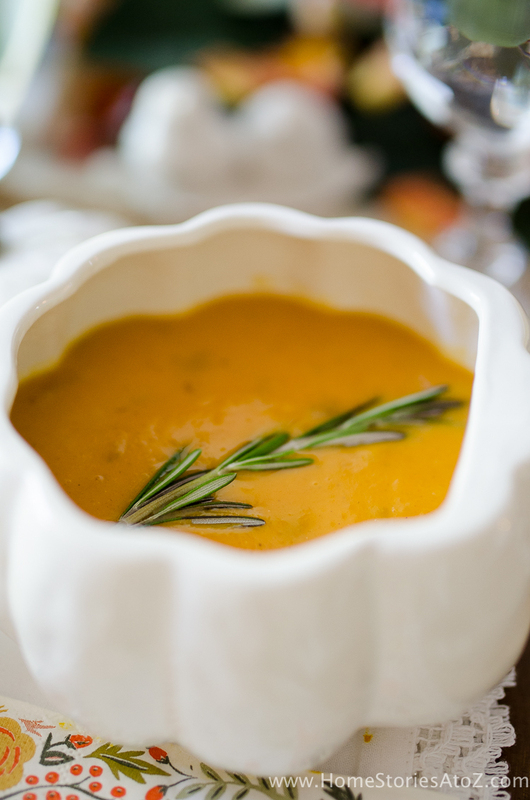 This is the best butternut squash soup recipe–it is like an autumnal hug for your mouth! 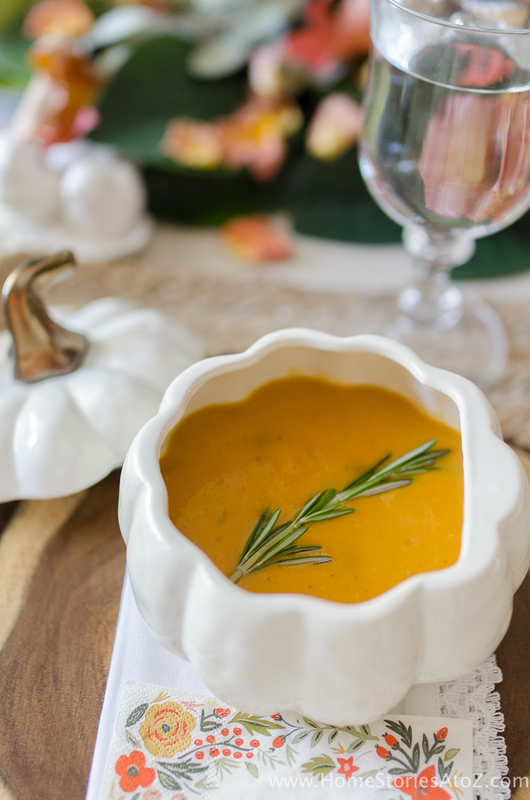 Made with roasted butternut squash, honeycrisp apples, leeks, onions, and ginger it has all the flavors of fall. 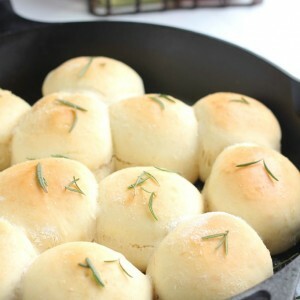 Serve with rosemary rolls and a side salad for an amazing meal! My family loves to have soup, salad, and bread for dinner. 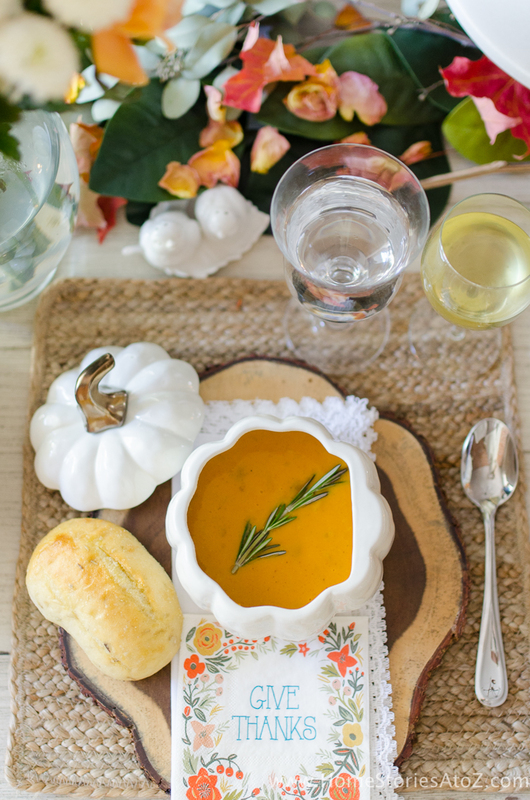 We could happily eat it most nights during fall and winter without tiring of all the delicious options! 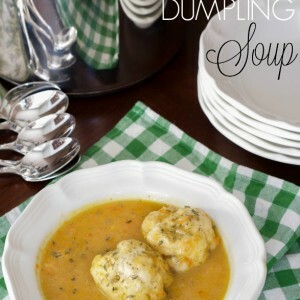 This Butternut Squash Soup is one of my family’s absolute favorites–second only to Chicken & Dumpling Soup. I hope you enjoy it as much as we do! 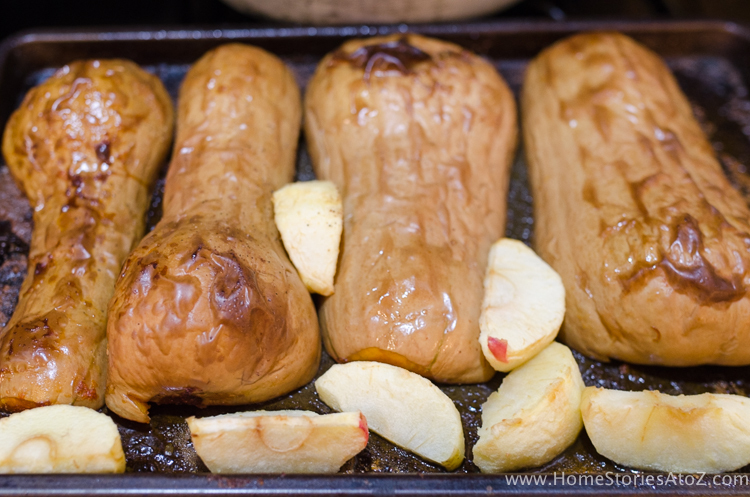 Step 1: Roast squash and apple. Preheat oven to 375°. Cut each squash in half and discard seeds. Peel, core, and slice apple. Brush the cut sides of the squash and apple with olive oil and season with salt, pepper, and nutmeg. 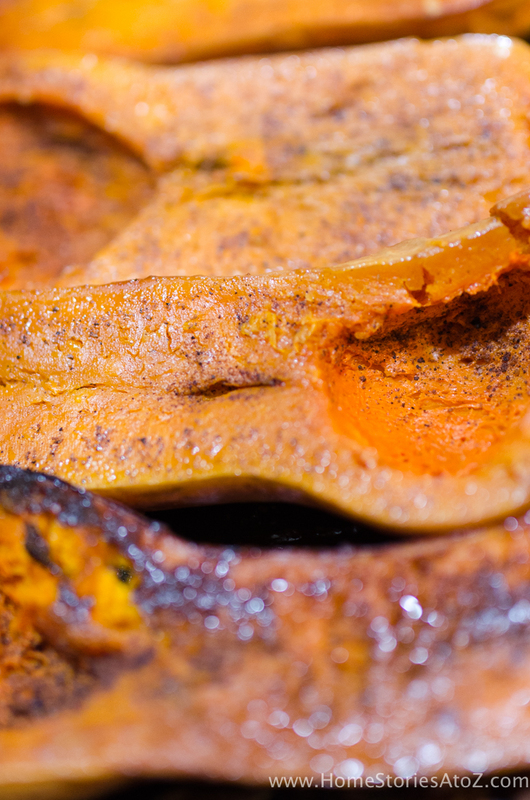 Place the squash cut-side down in a baking dish and bake until tender, approximately 90 minutes. (I typically do this prep the night before and place everything in the refrigerator until I’m ready to make my soup.) Allow to cool and then scoop out the pulp from the skin. The skin will peel off easily. Step 2: Puree the squash and apples in a food processor. Reserve. Step 3: Dice the onions, leeks, and ginger and cook in a stockpot. 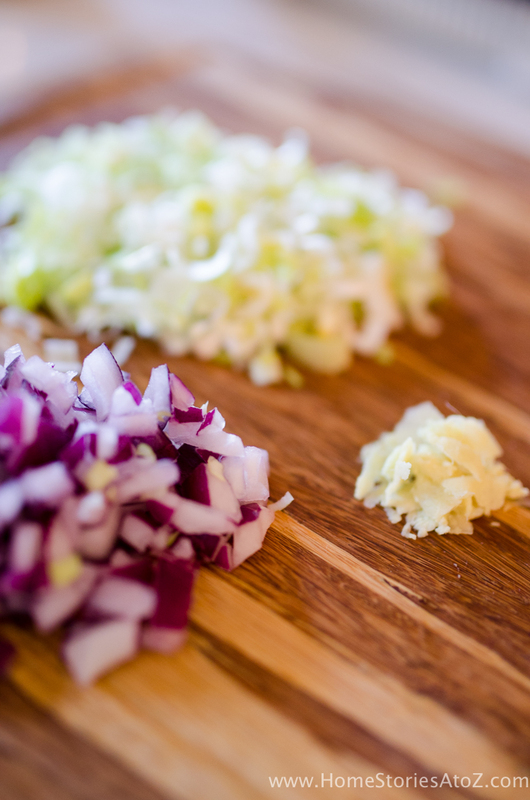 Tip: Microwave the onions and leeks for 90 seconds to speed-up cook time. 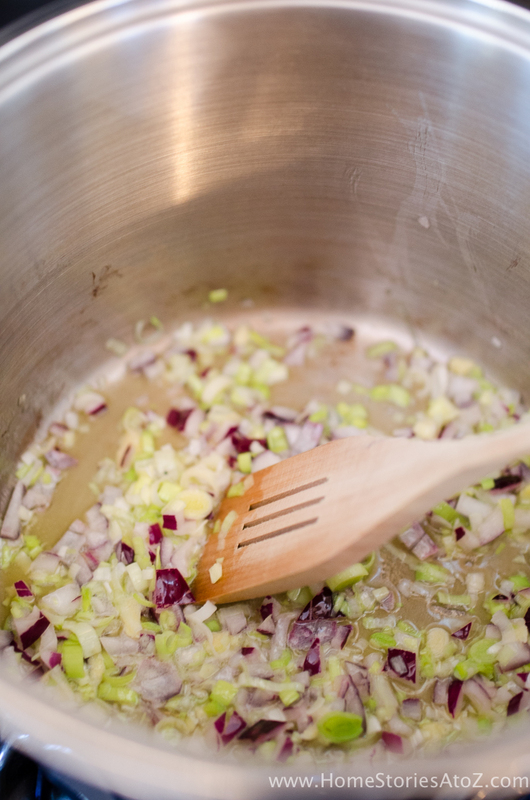 In a large stockpot, melt the butter and add the onions, leeks, and ginger. Sweat over low heat until tender. Do not brown. Cook just until clear and tender. Step 4: Add other ingredients and simmer. Add the pureed butternut squash, cinnamon, and stock. Bring to a boil and simmer gently for 15-20 minutes. Remove from heat and whisk in the heavy cream. Garnish with rosemary or sage if desired and serve immediately. Recipe yields 6 portions. Cut each squash in half and discard seeds. Peel, core, and slice apple. Brush the cut sides of the squash and apple with olive oil and season with salt, pepper, and nutmeg. Place the squash cut-side down in a baking dish and bake until tender, approximately 90 minutes. Allow to cool and then scoop out the pulp from the skin. The skin will peel off easily. 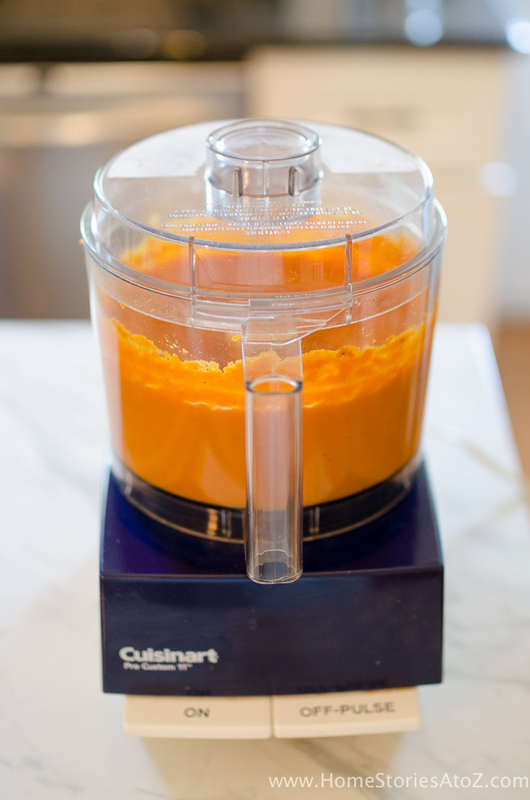 Puree squash in a food processor. Reserve. In a large stockpot, melt the butter and add the onions, leeks, and ginger. Sweat over low heat until tender. Do not brown. Cook just until clear and tender. Add the pureed butternut squash, cinnamon, and stock. Bring to a boil and simmer gently for 15-20 minutes. Remove from heat and whisk in the heavy cream. Could you use coconut milk instead of heavy cream? I’ve never tried it with coconut milk so I can’t say how it would turn out. Can this be made the day before and reheated. I am looking to make this ahead for Christmas dinner. Hi Sharon, yes the soup can be made the day before and reheated. It tastes good the next day. 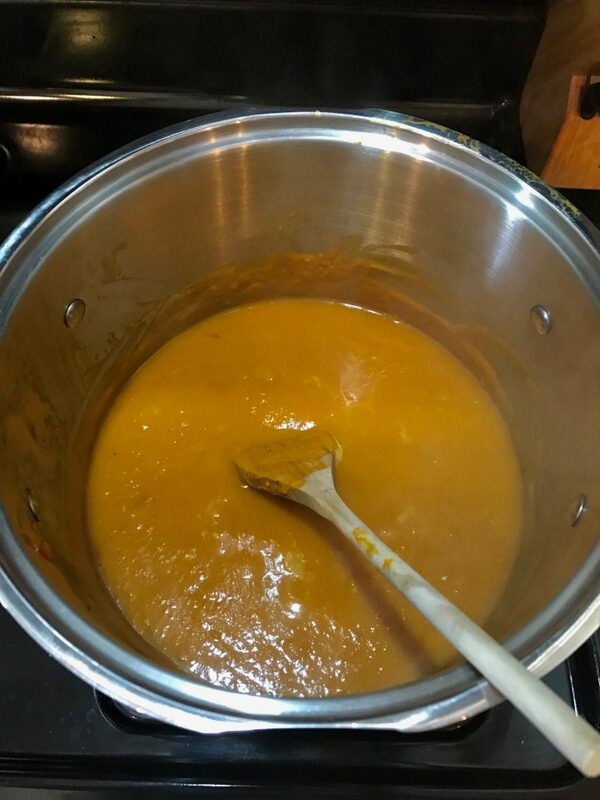 Also, if you like your soup to be completely smooth then be sure to use a hand blender to puree the onions within the cooked soup–as another reader suggests in the comments. I personally prefer a little texture but everyone is different. Enjoy! 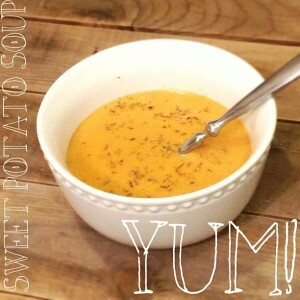 Awesome soup! 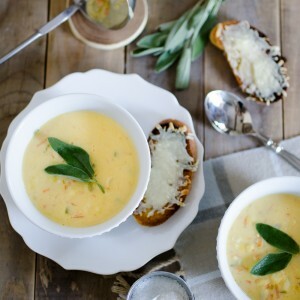 I’d add one more step to your instructions…After whisking in the heavy cream, I returned the soup to my food processor and gave it another “whirl or two” to remove the chunks of leek, onion, and ginger. Instead of an annoying chunky soup it was delightfully smooth.